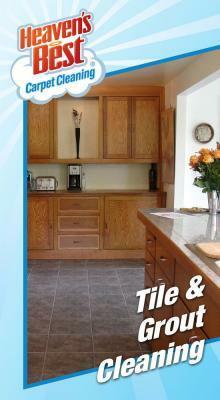 Many homes today are built with tile in many rooms of the home for their durability and beauty. 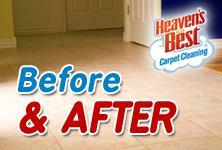 However, beauty doesn't always come without a little maintenance from the homeowner. We have provided some excellent grout maintenance tips for you if you are in the Birmingham, AL area. Neither sealing the grout nor using a 100% Epoxy Grout will guarantee against surface build-up or discoloration of the grout. Grout needs to be cleaned on a periodic basis to remove any surface build-up. Routine grout cleaning can be done with a daily concentrated household or commercial cleaner depending on the application. When heavy duty grout cleaning is required, you will need to use a professional strength Tile & Grout Cleaner that is capable of removing grease, soap scum, body oil, mildew stains, algae, and synthetic or acrylic waxes from the grout joints. However, such a product should contain non-polluting chemicals and low VOC levels. This type of product can be purchased from most Home Centers or give your Birmingham area professionals a call and let them handle this job for you. When grout has been stained to the point that it cannot be maintained or returned to its natural color, you can return the grout back to its original color or any other color through the use of a "grout stain". Grout Stains are epoxy-based products that are specifically designed to penetrate into the grout and seal the surface with a permanent color. Once the grout has been stained there is no need to seal it any further with a penetrating/impregnating sealer. Prior to staining, the grout joint should be cleaned thoroughly to remove any dirt, oils, grease or sealers with a professional cleaner or a Tile & Grout Cleaner Company such as Heaven’s Best Carpet Cleaning of Birmingham. We can be reached at 205-618-9150 and will be happy to help you give your tile a thorough cleaning to prepare it for any further treatment on grout color restoration you may decide to complete.